There are abundant records of the Twentieth Annual Metzger-Patel Genius Prize championship in 2131. Everything from the entry forms for each Contestant Team, to the judges’ notes on each creation, to the home videos filmed by proud parents, to helicopter footage of the aftermath. 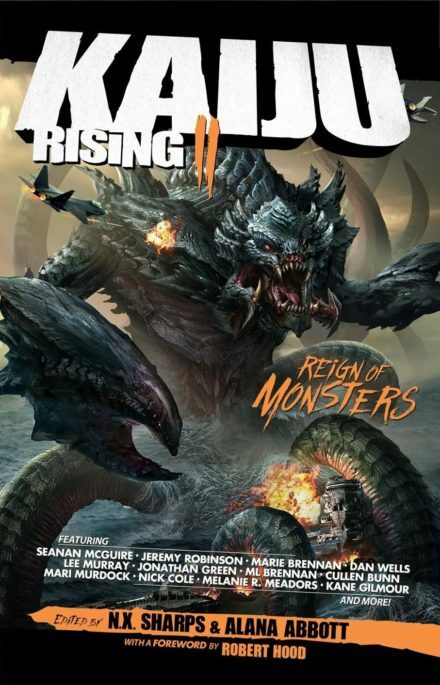 It’s based on the microsetting that I wrote for the RPG expansion Tiny Frontiers: Mecha and Monsters, because I was recruited to the anthology Kaiju Rising II: Reign of Monsters by the same guy, Alan Bahr. That anthology is out now, full of stompy kaiju goodness!